Crochet leafs and flowers are very popular crochet projects on the whole internet, you can find many different design of them, using many different techniques and stitches. 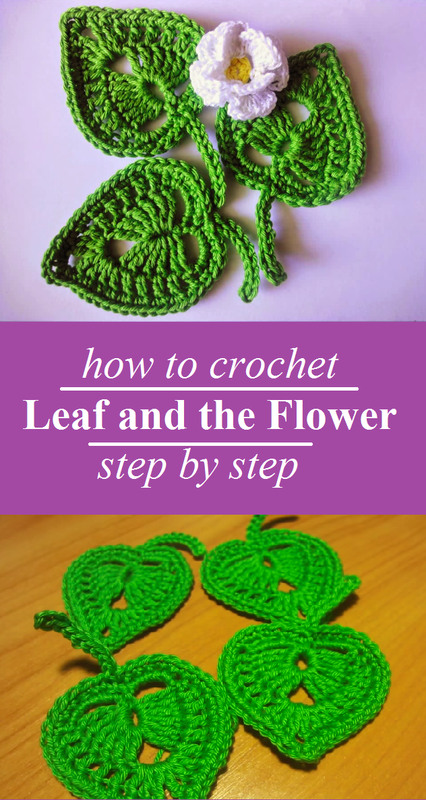 Today we would like to share with you one more very interesting article about crocheting the leaf and the flower, I am sure that most of you will find it very interesting and at least try to crochet them. It is really easy to crochet the leaf that is shown on the photos, the video tutorial that is presented in the article will help you crochet it even more easier and faster. It shows you every single step that you need to know and follow to get the right result. I am sure that when you watch the tutorial many of you will get inspired and crochet the leaf and trust me if you do so, the result will be amazing.